Returning this year is the prestigious and international poetry competition, based at the Plough in Torrington. Judged by Andrew Motion, the prizes go up to £1000 and there is no theme suggested. 40 lines, the entry form is on the website. Deadline, 30th November, with an entry fee of £5 per poem. On a related note, I will be running two short story workshops at Barnstaple library for free. 20th July (the Long of it) and 10th August (the Short of it), organised by Rosie Godfrey who runs the Parachute Writers group at Barnstape Library, on the first Saturday of each month. The first workshop will focus on raw material for short stories, especially structure, character and location. The second will look at editing, focus, point of view and getting within that pesky word count which at 1000 words is quite tight. Contact the library for more details or email me on reb@rebecca-alexander.co.uk. First, I would like to remind you that competitions – always an excellent way to bring your work to the attention of publishers – are available for a number of genres of writing. One of them is based right here in Devon. Literature Works are promoting their First Page Writing Prize with an entry fee of just £5. You submit the first page of a novel (of which you only need to have written three chapters) and a very short synopsis of the whole novel as you imagine it. The prize is £1500 and a look at those first three chapters by a literary agent, who will give the winner feedback. 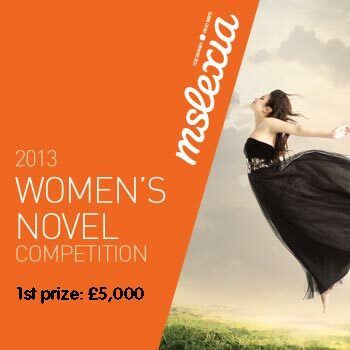 Mslexia have a novel writing competition coming up in September, this time for whole novels. I know to my cost how stressful it was to have not quite completed my novel, never expecting to get longlisted, then having to write six chapters at breakneck speed to submit! You also need a 1000 word or so synopsis and the fee is £25, but all the shortlisted writers last time found agents, and several found publishers. Barnstaple library has three writing groups, all on the first Saturday of the month. Contact the library for further details. Well worth a look, I’m hoping to join one myself. It’s been an interesting month, not just because I’ve met some charming, literary enthusiasts, but because there’s a lot I didn’t know about going on in North Devon. The library in Barnstaple, for example, not only has three writing groups but is holding writing related events. Bill Wahl, psychologist, stand up comedian and writer of The Art of Impossibility is giving a talk at the library in Barnstaple, 7pm on 9 July, for just £3 a head. Tickets available from the library. I’m starting to look at the daunting task of promoting my books in October, a whole new skill set. I don’t think I’m a big book festival goer, but I’m looking forward to the Appledore Book Festival. I’m interested in promoting reading groups as well, because reading and writing are so essential to each other. As a writer, I hope for a reader, and try to communicate with that person through our shared language. Readers make writing possible. Like most writers, I’m an avid reader. I really appreciate the offers of help that have come in, please get in contact if you are interested in promoting creative writing in any genre within North Devon. Well, I’m making some progress. There are writing groups at Barnstaple library, although I don’t yet have a contact number or email address, I’m reliably informed that there are three! As well as groups advertised in the National Association of Writers’ Groups including ones at Tiverton, Exeter and Barnstaple. Great news. I’m hoping to go along and meet them, and maybe join one or two, because writers at any stage benefit from groups, and prompts and the feedback of readers. I have been approached by a couple of people wondering if a competition might reach more writers and therefore put more people in touch. Any ideas for start up funding? I don’t feel qualified to judge short stories but I do know a couple of people who might be willing…and a few poets, too. I do feel qualified, and know a couple of others who are too, to judge a ‘first chapter’ competition, so the people might be easier to find than the prize money. Otherwise, I have met a few people who write in N Devon and will be getting them to introduce themselves shortly. Watch this space. It seems I am not completely alone in wanting some more events and groups for writers in North Devon after all! I’ve been contacted by a couple of other writers, one a poet, and one a novelist with a couple of books under her bed and another in progress. If you want to get involved, even if you just want to advertise your existence or blog or writing on this website, then please get in touch. We’re ‘going live’ officially in a few days, and I’ll start putting posters up in bookshops and libraries then. I’ve been snowed under with edits for book 1 and finishing book 2, and am hoping I’ll get some help over time. The National Association of Writers Groups does list groups already established in the West Country, I have been to two of them. Established does sometimes mean they have formed around the needs and interests of existing writers and may not be a good fit for new members whose interests are different, but I would urge you to go along and find out, it might be just what you are looking for! After about a year looking into creative writing in North Devon, I’ve discovered two interesting things. One: there are a lot of people writing, studying and publishing in North Devon. Two: they don’t seem to be much in contact with each other. I understand that writing, whether songwriting, poetry, fiction, memoir or whatever is a largely solitary occupation, but writers need readers. To get readers, we need to be improving our writing up to the level where we can publish. Whether that’s confident self-publishing, anthologies, magazines, websites or commercial publishing we then produce words for others to read and enjoy. So I’ve stuck my neck out and provided a hub, and promised to run it for two years. I’ve also offered to run the group that I need. The best way to get better is to be open to constructive feedback, positive and negative, and I need feedback. I benefitted hugely from the experience shared from agents, editors, publishers, writers and critics. When one person goes to a talk, attends a literary festival or gets feedback from the industry, it can benefits us all. Belonging to a group improves all our chances of getting published. Last year a local writer ran a little flash fiction project which grew like Topsy, and turned into a great project that culminated in a published anthology. A great experience for all concerned, and a publishing credit for a lot of local writers. There are a lot of good writers out there. They are generous and produce great work. All we need is some writers to put their heads over the parapet. I’m happy to put a 50 word bio, contact details and links to work on a page (called Individuals) of any individual writers. Or I can create a page for a group, where you describe your group, its aims and activities. Just contact me at reb@rebecca-alexander.co.uk. So, let’s see what happens next! Literature Works is the strategic literature development charity for South West England.